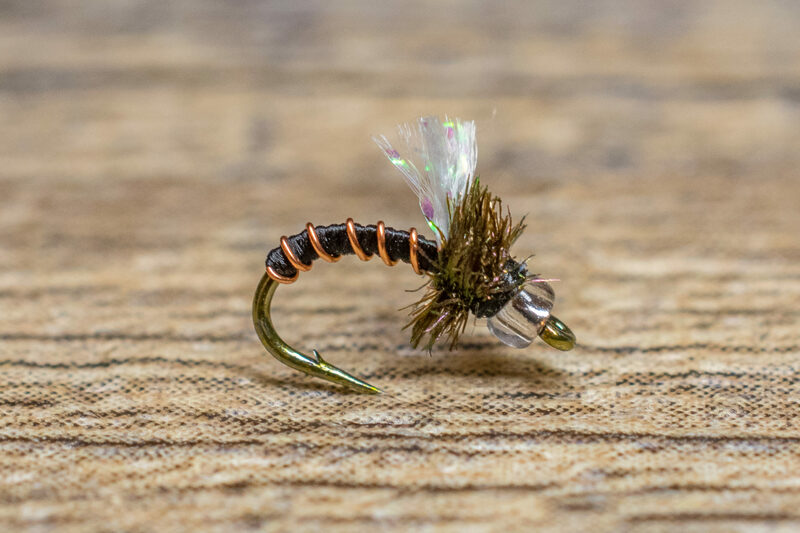 The Manhattan Midge was one of the first patterns I developed to fool selective Rocky Mountain trout. As you might imagine, the Manhattan Midge was developed in Manhattan, in a small New York City apartment where my dear friend Jay Park was living at the time. 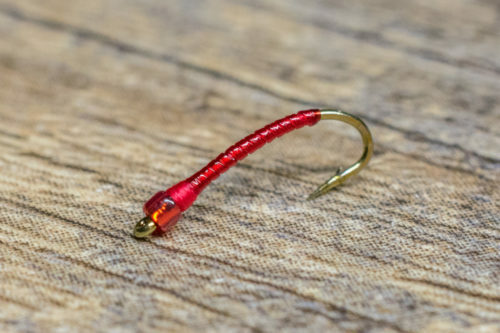 The Manhattan Midge is a souped-up hybrid of the Top Secret Midge, Mercury Black Beauty, and Mercury Blood Midge that incorporates the best attributes of each pattern. It has a slim profile, segmented body, a flashy wing, peacock collar that breathes life, and a clear silver-lined bead to imitate trapped air in the thorax. 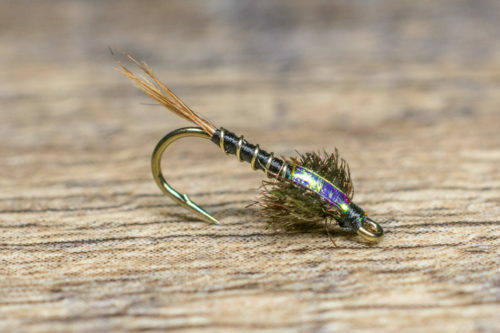 The Manhattan Midge has become a guide favorite on the South Platte River (Cheesman, Deckers, Eleven Mile Canyon, and the Charlie Meyers State Wildlife Area) and its effectiveness has spread to eastern tailwaters. Midge feeders eat this fly with confidence! We have found success with the Manhattan Midge year round, but it is especially effective from late August through the first part of April. We recommend fishing mid column during the height of a mid emergence. Vary the size based on the prevailing hatches. For instance, use a size 18 when the big spring midge is hatching and use a size 20-22 when smaller midges are emerging. Strange as it might sound, a Black Manhattan Midge doubles as a drowned Trico in many watersheds.